travel, beauty, fashion, books and a bit of everything else! New Zealand is one of the most beautiful countries in the world and it definitely did not disappoint when I visited last year. You think of New Zealand for it’s incredible scenery, but there’s so much more from black water rafting, hiking mountains seen in the movies, to skydiving about snowy mountains and a lot of movie sets and adrenaline! One place that can feed your adrenaline needs? Try Queenstown! This is such an incredible place, this is seen as the place for total adrenaline! 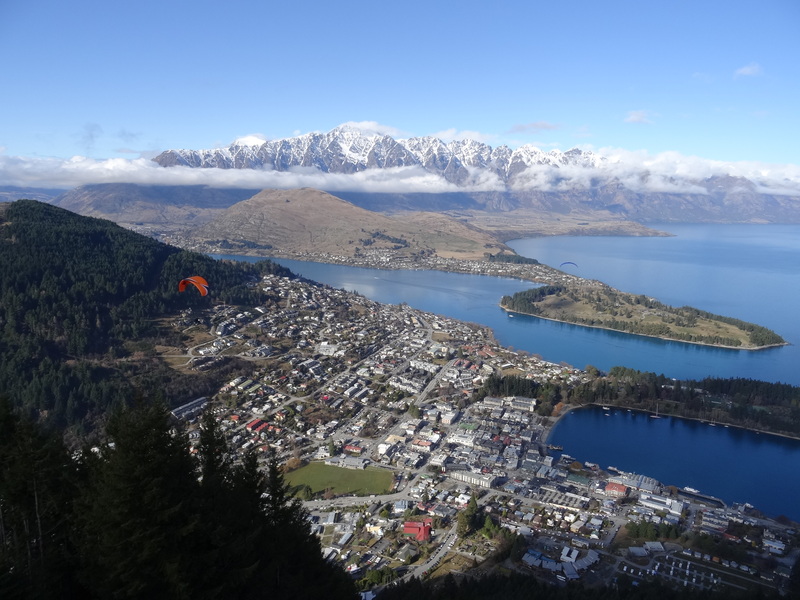 Here, you can go skydiving, jump into a canyon at the Shotover Canyon Swing, throw yourself off a bridge with a bungee jump or even go snowboarding and skiing – all in this one town! Not to forget that this place is absolutely beautiful, there are plenty of viewing points and you can get a cable car to the top of a mountain to see some breath taking views. I went skiing at Cardrona and it was great – this was a first for me and I was surprised at how many lessons there were for beginners, although most of the 5 year olds in the younger class were way better than me! The Shotover Canyon Swing was pretty scary for the 5 seconds that you jump off but also so much fun! 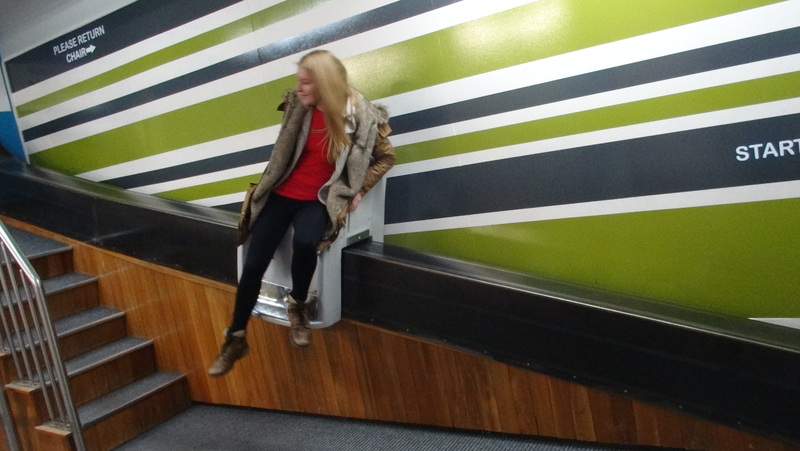 There’s so many different styles on how you can jump off, whether you want to ride a tricycle, get attached to a garden chair or even have a bin tied to your head.. This is the capital of Wellington and you won’t be disappointed! 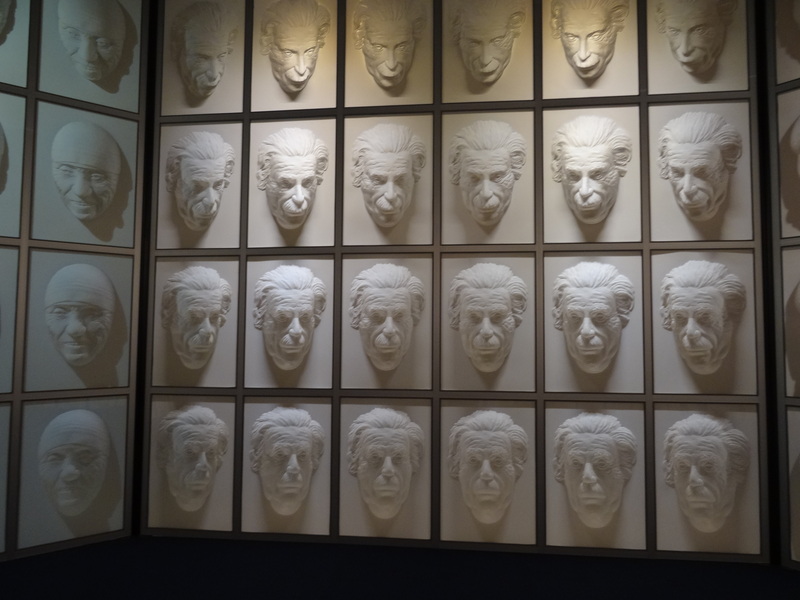 From museums to botanical gardens, there’s a lot to be seen here..
Weta Workshop was a personal favourite, here they create all of the props for films like the Lord Of The Rings Trilogy, King Kong and even Narnia. They show you how they create everything, give you a studio tour and show you that the props can be very deceiving to the eye! If you are a film buff, then I would highly recommend visiting here! 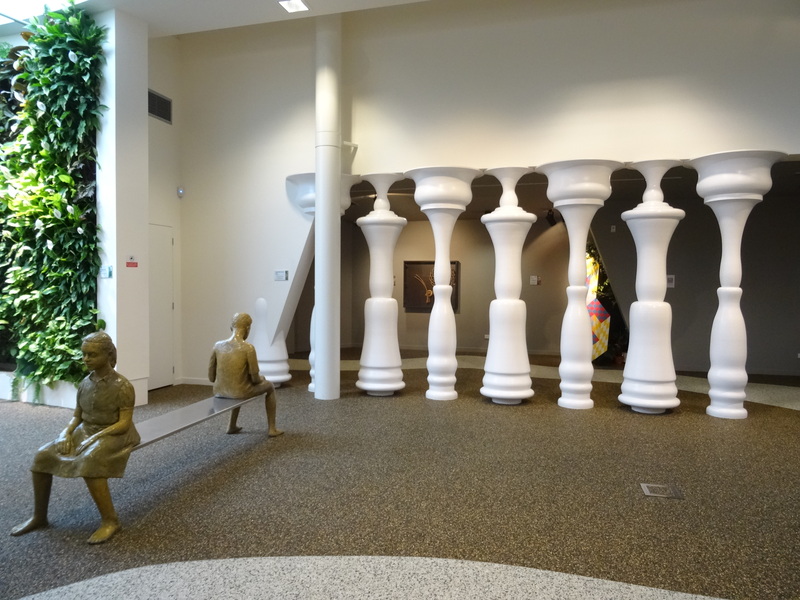 Wellington is home to one of the best museums in New Zealand too – Te Papa Museum. They had a mind blowing Gallipoli exhibition created by Weta Workshop when I visited, and the detail on these much larger than life figures was incredible! 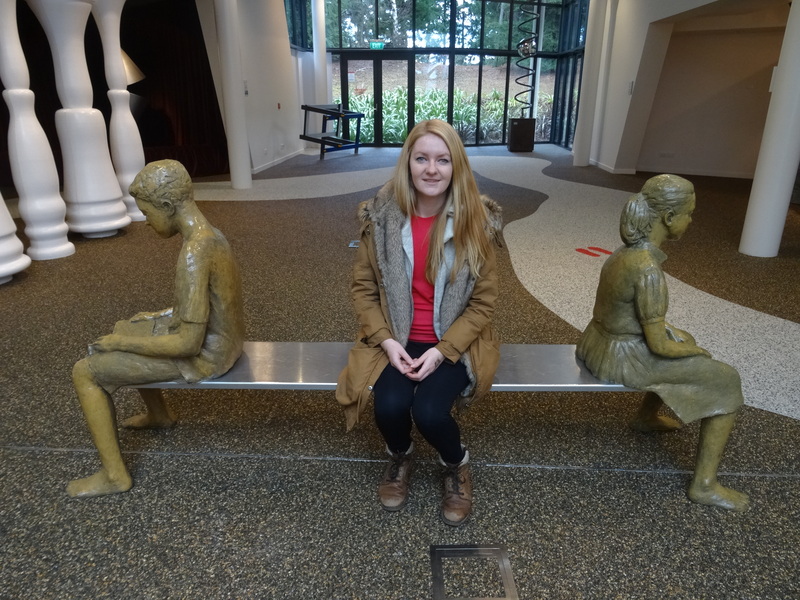 I was at the Te Papa Museum for hours and hours trying out the earthquake simulator and browsing at the culture of New Zealand and I didn’t even get around to everything whilst I was there. Wellington is an all round amazing place to visit, there is a harbour with incredible views, a lot of shopping areas, has it’s own airport and they have the Botanical Gardens that you can get to via a cable car. Also, for any of the Welsh people out there, there is a Welsh Pub run by actual Welsh expats which is so much fun especially if you’re a little bit homesick! Want to rush down waterfalls inside a cave full of glowworms? I found this hidden gem! Here they have the most amazing glowworm caves that you can either go through via a boat, or you can do black water rafting where you flow down waterfalls and tube through the caves whilst seeing all of the glowworms. It was so beautiful in these caves and I would highly recommend paying these a visit. It is so peaceful in there and it looks like you are gazing at stars, breathtaking! A definite must do. Want to know all of the ins and out of the Lord Of The Rings trilogy? Hobbiton was the place that I was looking forward to the most when I visited New Zealand and I was blown away! 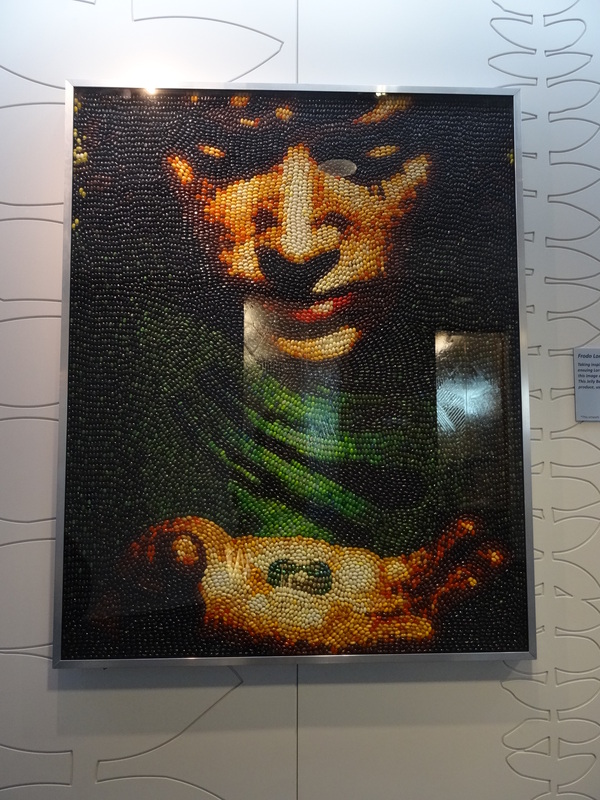 Yes, it’s a bit pricey if you aren’t a huge Lord Of The Rings fan but for fans, you will adore it. You get to walk around the set of The Shire, visit the Green Dragon Inn and have a beer or cider and it will get you humming to The Shire soundtrack as you venture around trying to replicate ‘I’m going on an adventure’. Want to hike one of the most incredible glaciers in the world AND go in a helicopter? This was my definite favourite from New Zealand, I had such an incredible weekend here and I would go back in an instant. It is a very small town but you can go up to the Franz Josef glaciers in a helicopter and hike for three hours and you can also go kayaking afterwards in the lakes surrounding the glaciers back on ground! An Outstanding day and scenes from The Wolverine were filmed here! 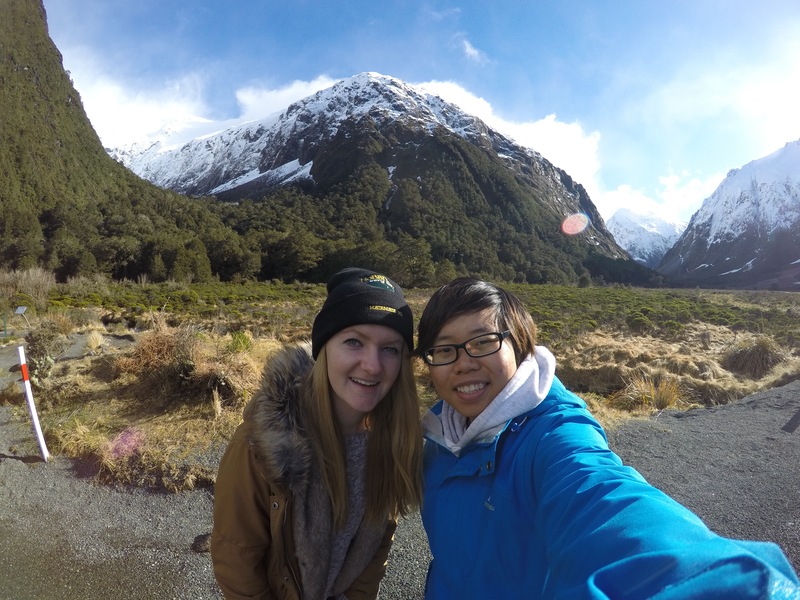 We had a day out to Milford Sound and it did not disappoint! 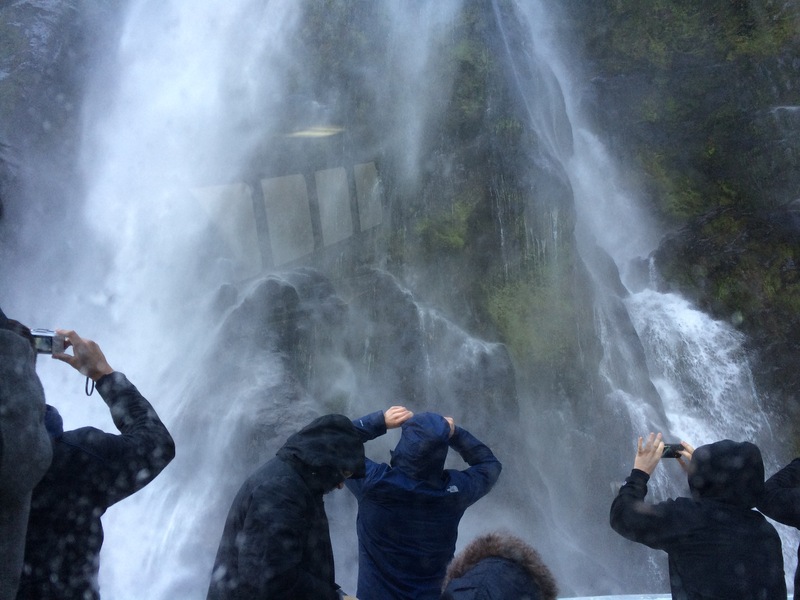 They have filmed a waterfall scene from The Wolverine here and I think that goes to say how incredible of a place it must be, so take my word on this! Want to experience the real Maori lifestyle and culture? Here you get the full Maori experience, they will greet you and welcome you to their Maori family, show you the Maori lifestyle on how they traditionally make clothing, family games, Maori songs and of course the Haka! They even cook you an incredible meal and entertain you with beautiful Maori singing and dancing at the same time. A definite must do to see the real culture of New Zealand. If you want to see any of my New Zealand videos, feel free to pop over to my channel to have a browse. There are videos on the Glacier Walk, kayaking, my skydive, canyon swings..
Where do I start with Queenstown? The small world of adrenaline, scenery and adventure! 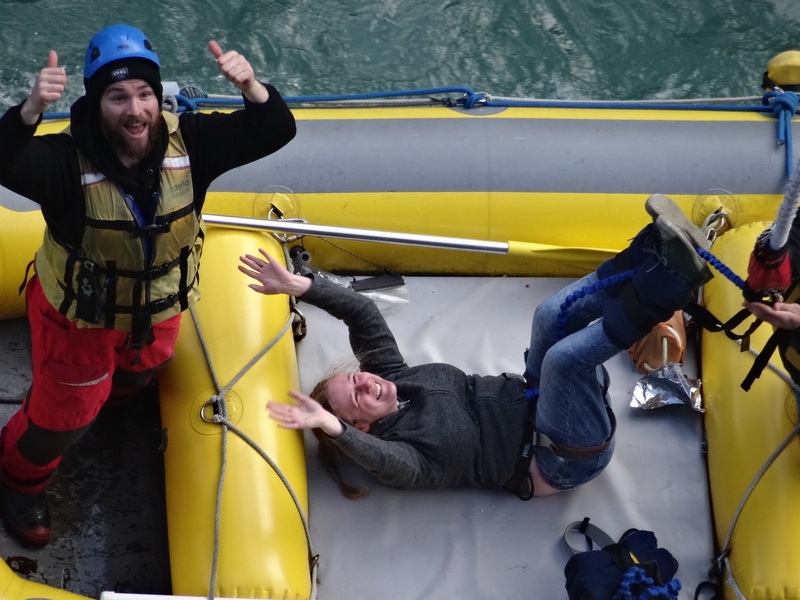 Firstly, on our way into Queenstown a few of us got off the bus as two girls wanted to do a A J Hacket Bungy Jump. 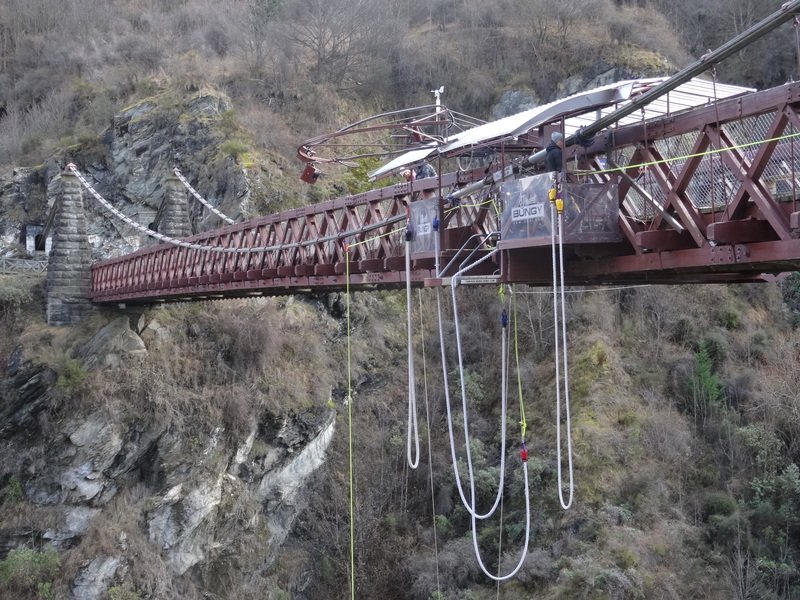 This looked so scary and I would hate to do a Bungy Jump, although I’ve done a Canyon Swing and a Skydive – this is not my sort of thing! 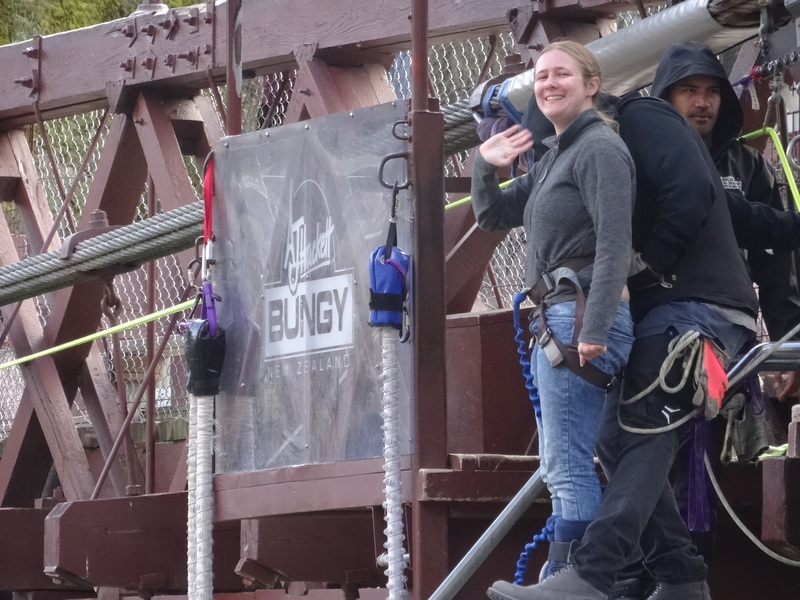 So Joanna went up, not caring at all and just easily jumped off with a smile (crazy girl!). I was so proud of her and jealous of her courage! 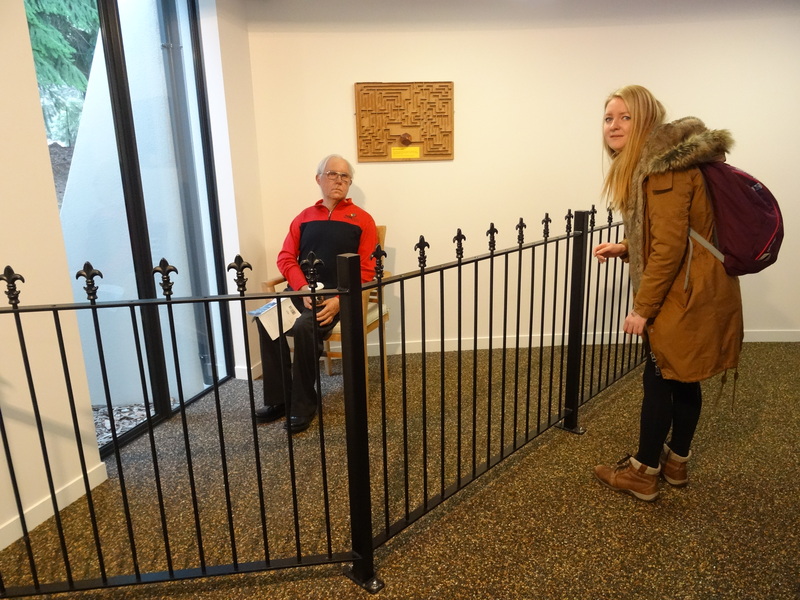 We then got to Queenstown, had to say goodbye to some people including Joanna from the last photos, who was such a lovely girl and we got on so well! 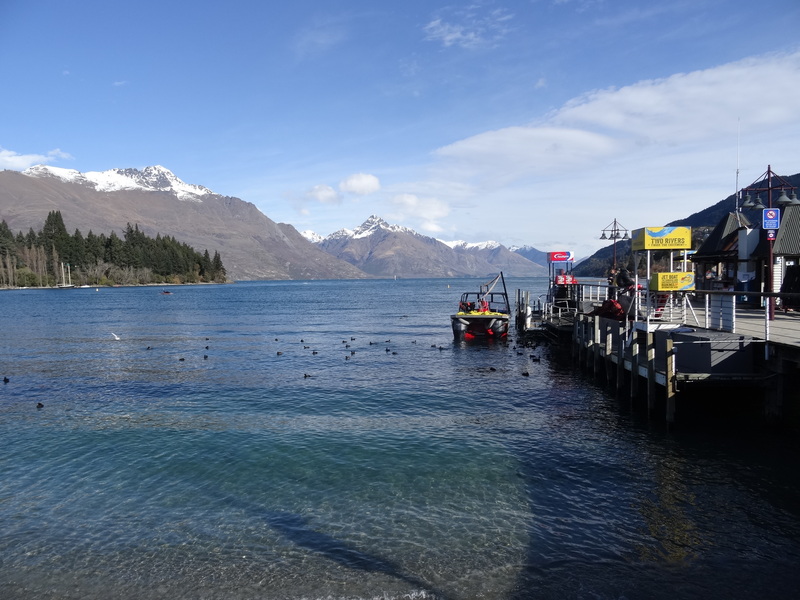 The scenery in Queenstown was unbelievable – it was so beautiful here! I just wish it was cheaper to live there and had less backpackers everywhere! 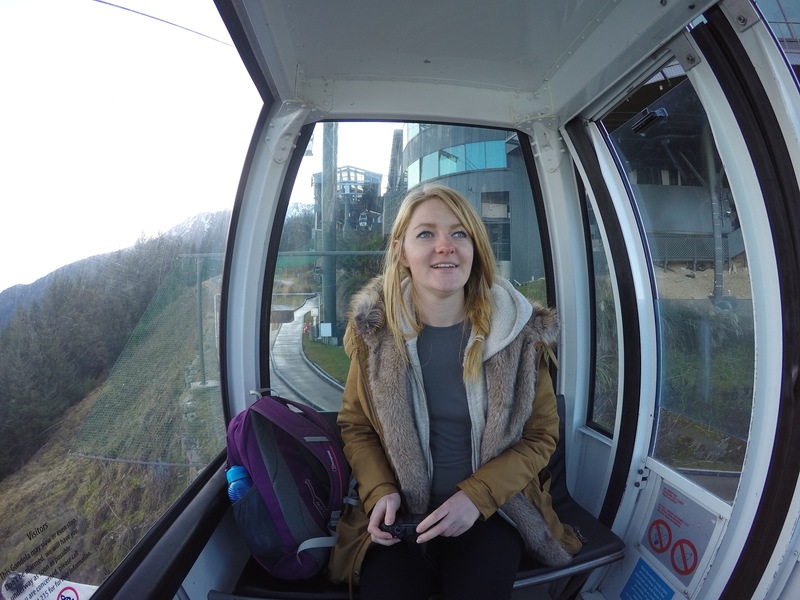 I went up the Sky Gondola’s one day, where they also have Luge rides – the view was insane! It was probably the best view that I have seen in my whole time being in New Zealand – apart from my skydive of course, I basically saw this view from the sky! But when we were looking out, we even got to see some parasailers! I would’ve loved to have done that, but I’m not too sure if you can pay to do it there? And, I had just done a skydive and a Canyon Swing! 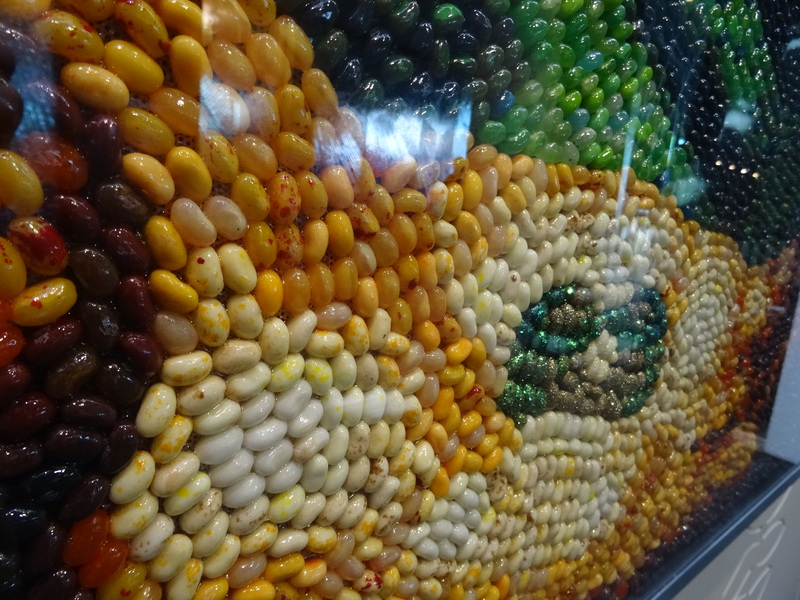 Whilst up at the Skyline, the place seemed to be sponsoured by Jelly Belly (which my dad freaking loves!) 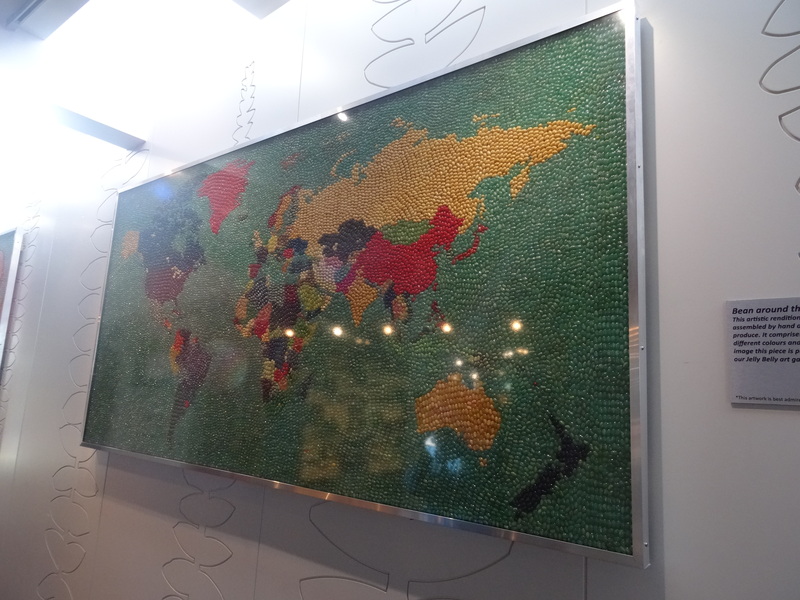 and they had these amazing pictures from Lord Of The Rings and a world map – MADE OUT OF JELLY BEANS?! 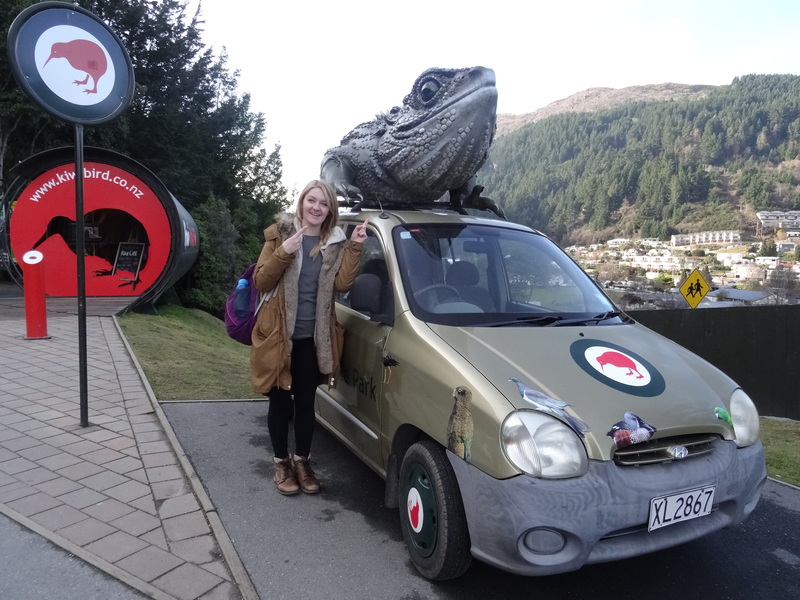 And, I saw a lizard car. No need to say any more. 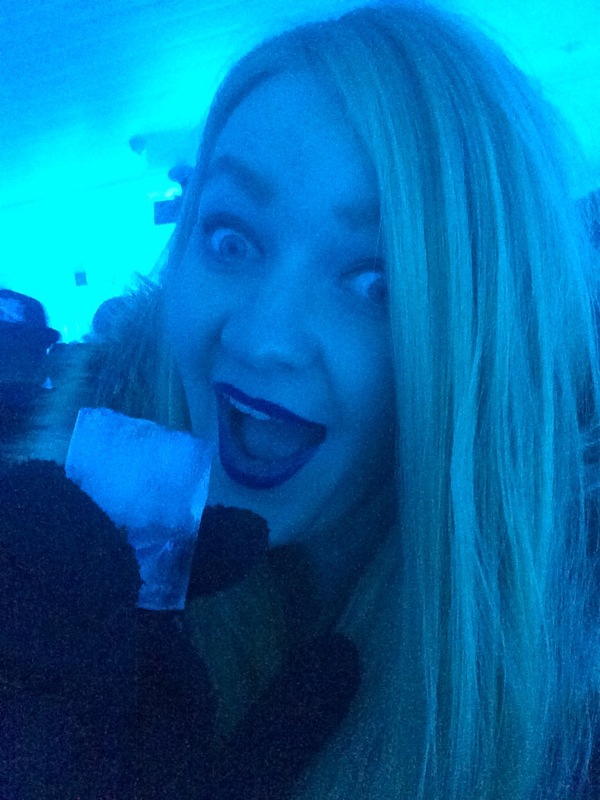 We have heard about the famous ‘ice bar’ in Queenstown, so we had to go and it was so much fun! 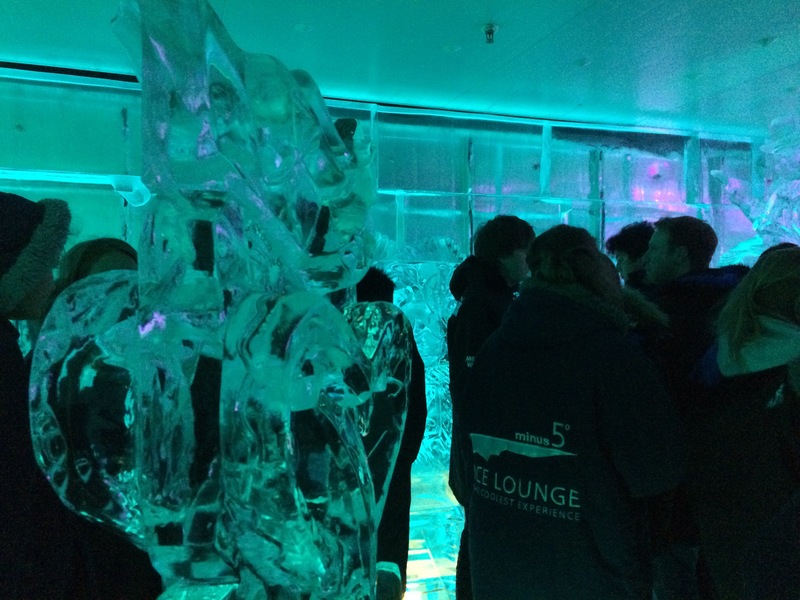 Everything is made out of ice, the seats, the walls and even the glasses (as pictured below). 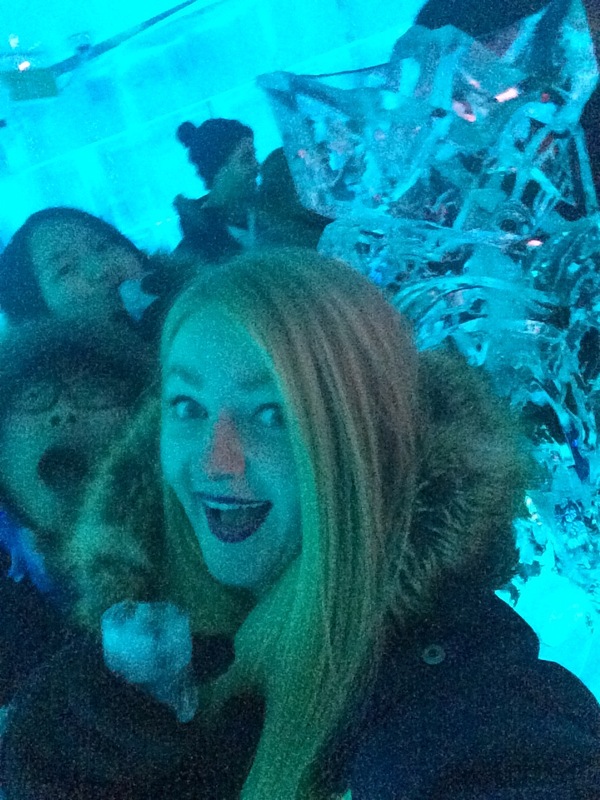 They give you gloves and a coat before you go in as it’s so cold, but we had an absolute blast! 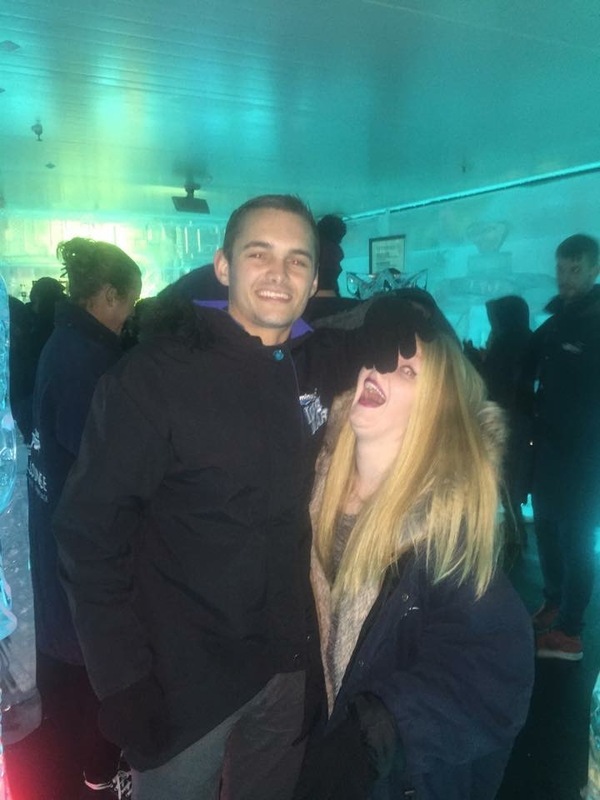 I also met a South Wales boy, too! BOYOOOOO! That’s all I need to say for Queenstown right now, I think! 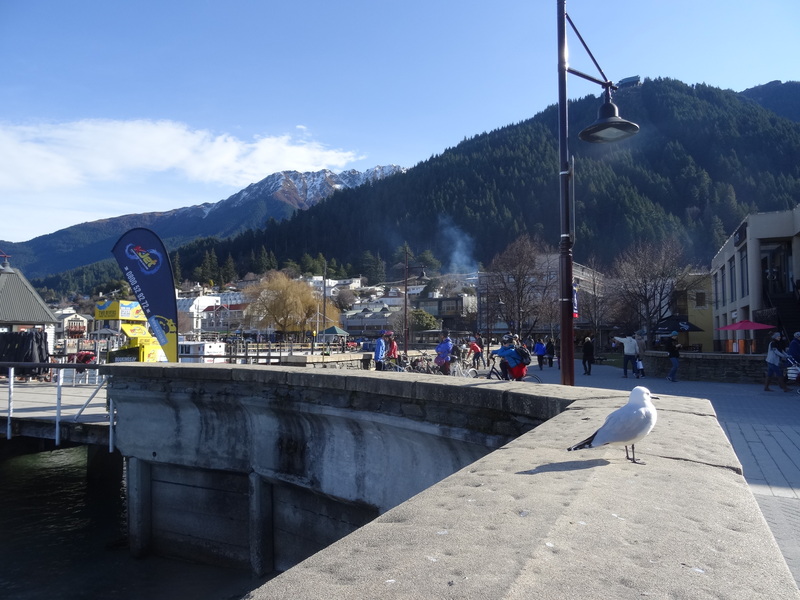 I have posted/or have scheduled some other posts from the activities that I did whilst in Queenstown – like skydiving, canyon swing and skiing at Cardrona. So look out for those! I will also be posting the videos, too! Queenstown is an amazing place! Wanaka is such a pretty little place, there’s not too much there but it is stunning! The scenery down by the lake is incredible (if I can find a photo, if not I will have to google one to show you how beautiful it was!). They also have a really cool Cinema called… Paradiso? They have sofa’s and have converted a van into seats which is so cool! 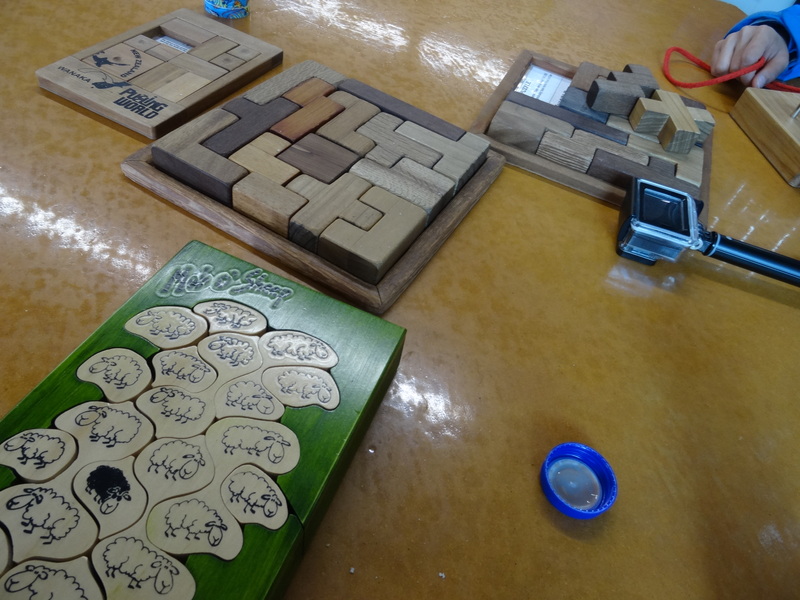 Before we left, Kiwi Experience took us to Puzzle World which was quirky. 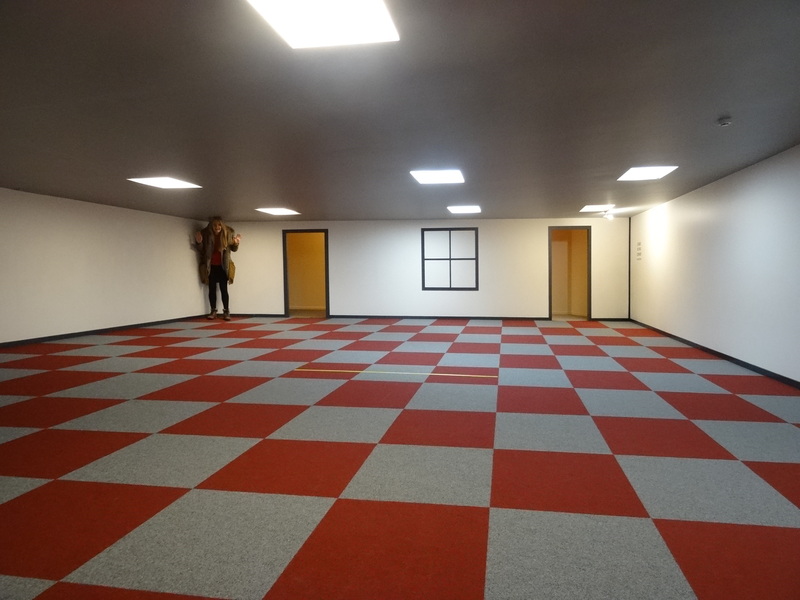 It was like a Optical Illusion house.. It was filled with illusions, puzzle games and really made you think about some things! 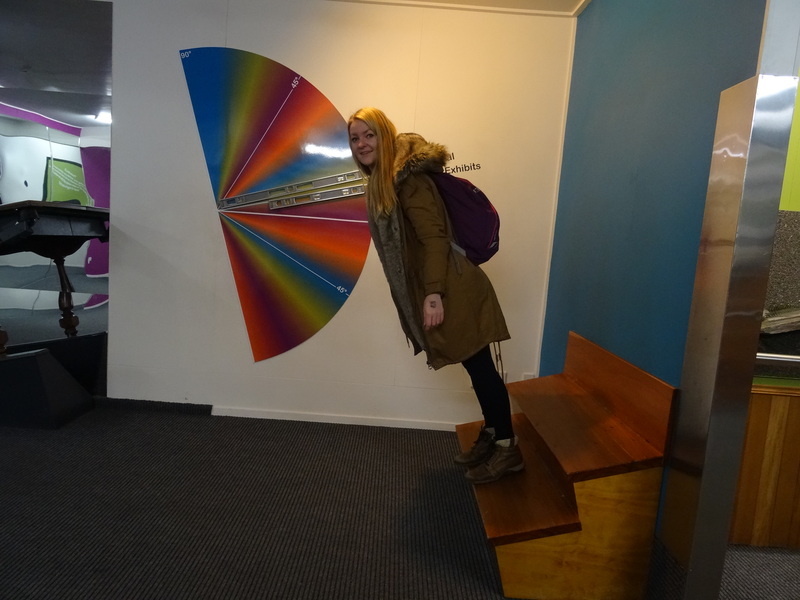 They even had a massive room that went uphill, but looked like it was normal, so your balance and orientation was completely messed up! It was great fun! I’ll put a few photos to show you what I mean! Not much more to say, I apologise if I’m bad at re-capping on these places recently! I find it so hard to remember things, so I’m trying to push out as much as possible! 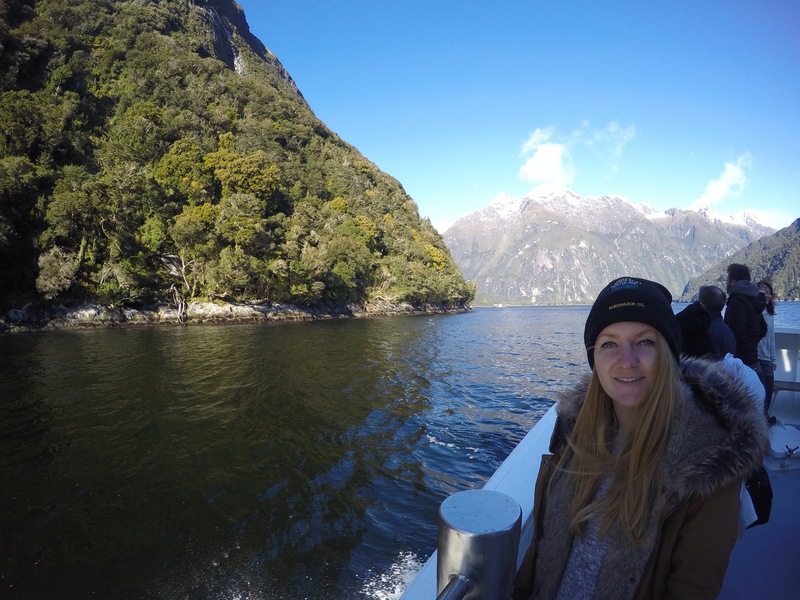 Oh my, Milford Sound is one of the most beautiful places in the world! I absolutely adored it here, even just being on the bus, it was gorgeous outside! The weather wasn’t great on the way down, but that did not matter at all. It’s New Zealand, everything is beautiful! (This is from the Lake Of Reflections – which didn’t really reflect due to the weather). On the way to Milford Sound, we stopped at a service station that had Alpacas and we were allowed to feed them. As I am a complete animal lover, I was in my element and was a huge highlight of the journey, too! 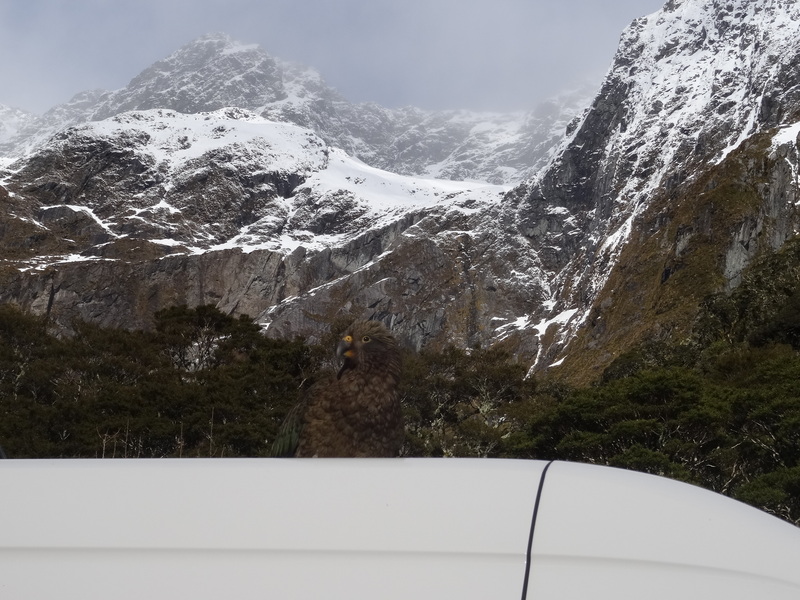 Although, they do like to spit on you, which I experienced a few times..
Luckily, when we got to the dock to go on a small cruise through Milford Sound, the weather perked up a lot and was so sunny! 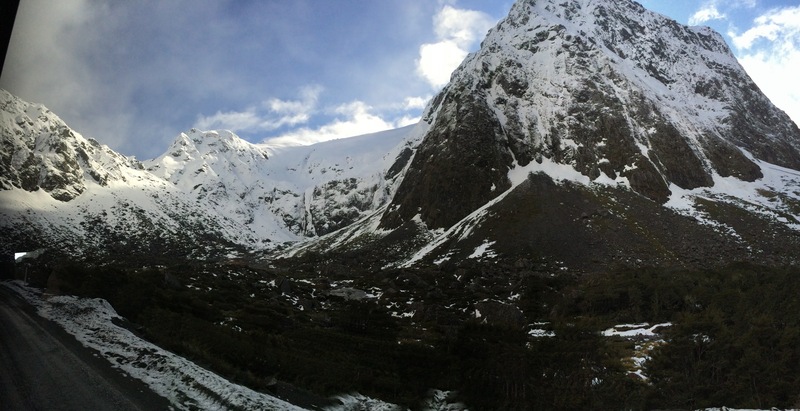 Also, another highlight of Milford Sound was the fact that a Welsh man discovered it and named it Milford Sound after his hometown in Wales, Milford Haven (which is a bit of a dump). But still, those proud Welsh feels came out! Here, is also where they filmed scenes from Wolverine, where he jumps off a waterfall – TRUE STORY, THAT! 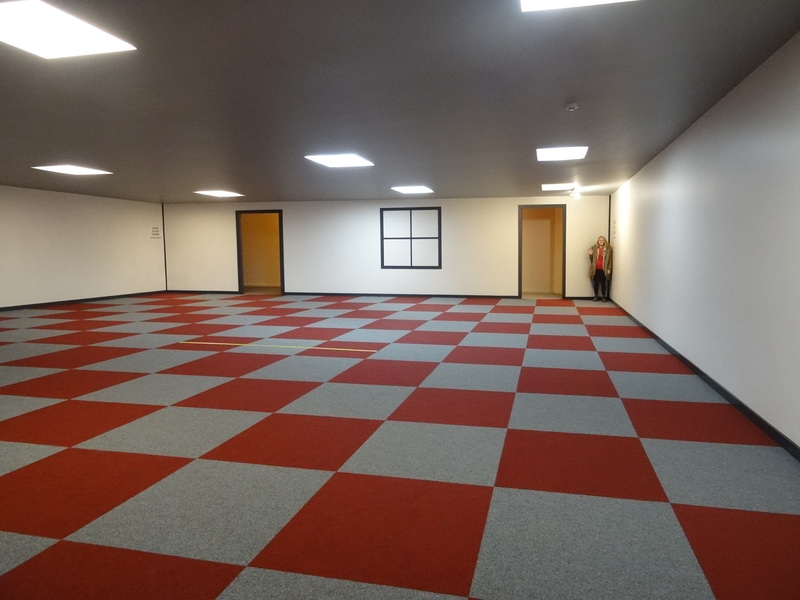 Anyway, I think the photos speak for themselves! Fraser Island was amazing, that’s all I have to say really! I decided to go on a 10 Day Tour (link to the exact one) with a company called G Adventures, who provide tours all around the world. 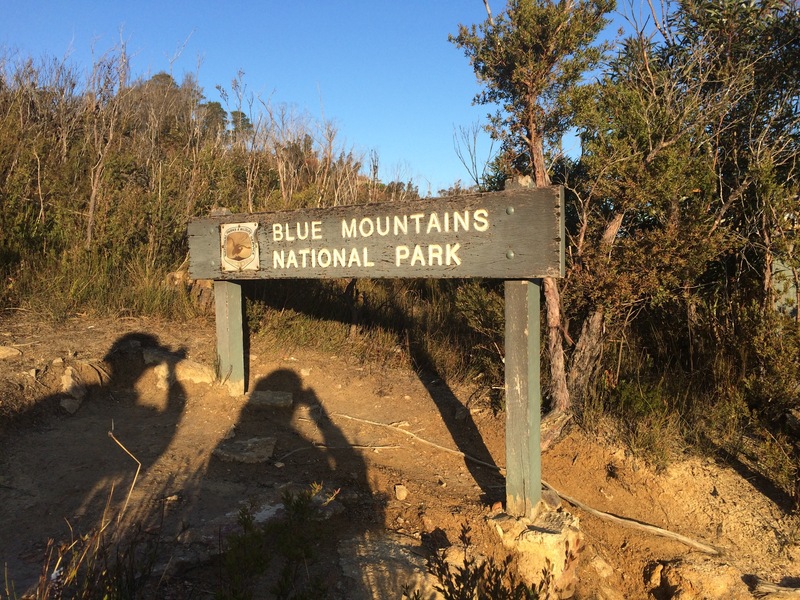 I thought that this would be a lot easier for me as I had been very stressed recently and means that I didn’t have to book anything like hostels, attractions..
Our tour started from Brisbane and made it’s way up to Cairns. I will be posting photos from each place as we moved on, throughout the week hopefully! We got to ride in a 4X4, have a scenic flight of the island and swim in every area of water possible! As soon as we got to Fraser Island, there was a massive rain storm, but that didn’t stop us from doing anything! We immediately jumped into Lake Mackenzie and had a swim and ball game in the rain! After that, we went to find our campsite where we had the cutest tents (more like, trailer tents than actual ground ones!) and started to have our group meal! On the second day, we started off bright and early and got to Eli Creek before any other tourists! We got into our bikinis and headed off to swim down the creek several times! 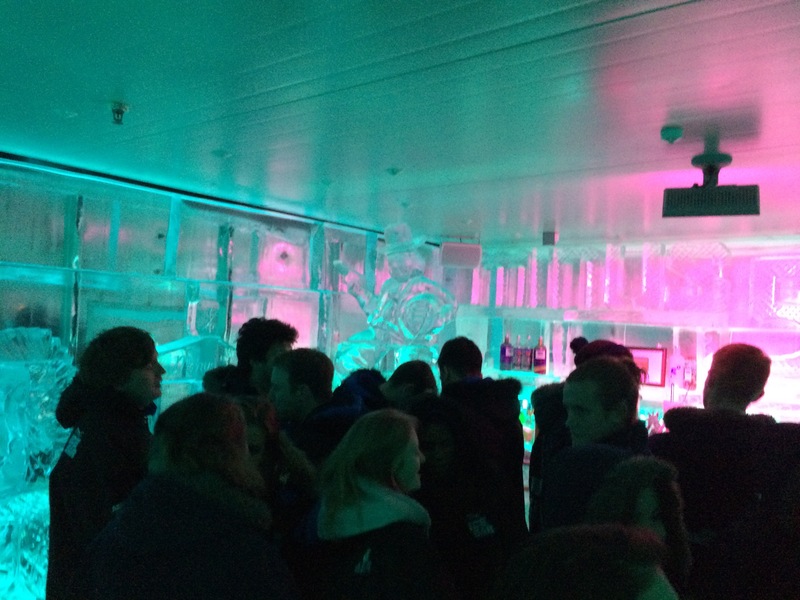 It was such a great experience with everyone, even though it was a little cold! After that, we decided to have a quick swim in the sea too (which afterwards, on a plane flight which I will mention later, we saw sharks from the plane). The scenic flight was optional ($50) and it was definitely worth it! It was so great, we got to see what the middle of the island looked like, saw some sharks in the ocean and got some incredible footage! 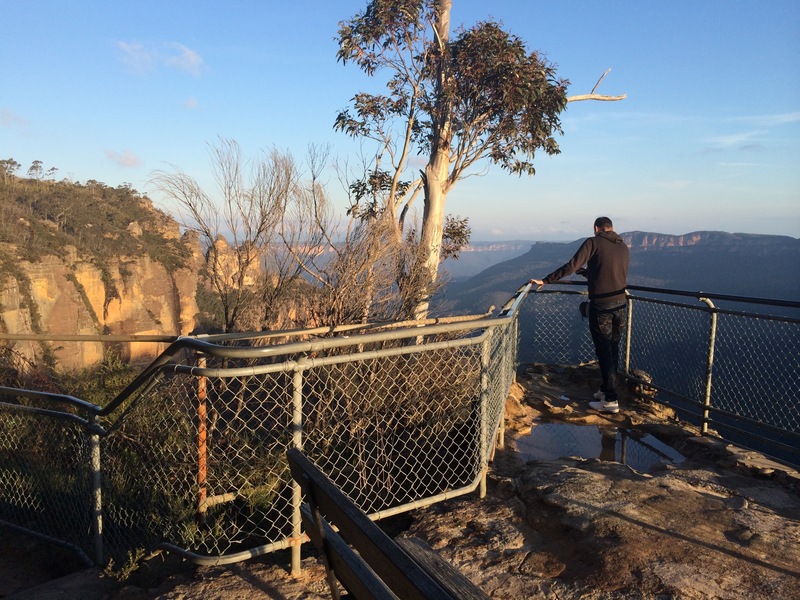 We then got back into our 4X4 and decided to do a few stops at the shipwreck, some lookouts and Champagne Falls (which I’ll talk about later). We visited the shipwreck, got quite a few photos and footage taken and some group photos and then we headed off to the other lookouts! Firstly, we saw The Pinnacles which was so pretty as it tends to change colour with the weather. Then we headed up to the edge of the island to look out which was beautiful, such a lovely lookout! And finally, we went for a paddle in Champagne Falls which was really pretty as it was just like a massive rock pool on the side of the ocean, which has deeper parts to swim in too! We then had a bit of a wild night at the camp site, which involved a little bit of alcohol, dancing, stir fry and camp fires! That is the basics about our Fraser Island trip, which I’ll be more than happy to expand on if anybody wants more information! Although, I must say, we saw so many different animals on this 3 day trip to Fraser Island! We saw Dingoes, Whales, Turtles, Sharks, Goannas and some spiders too! I have just edited my Youtube video from Fraser Island too, so look out for that when I have internet that’s good enough to upload it for you! 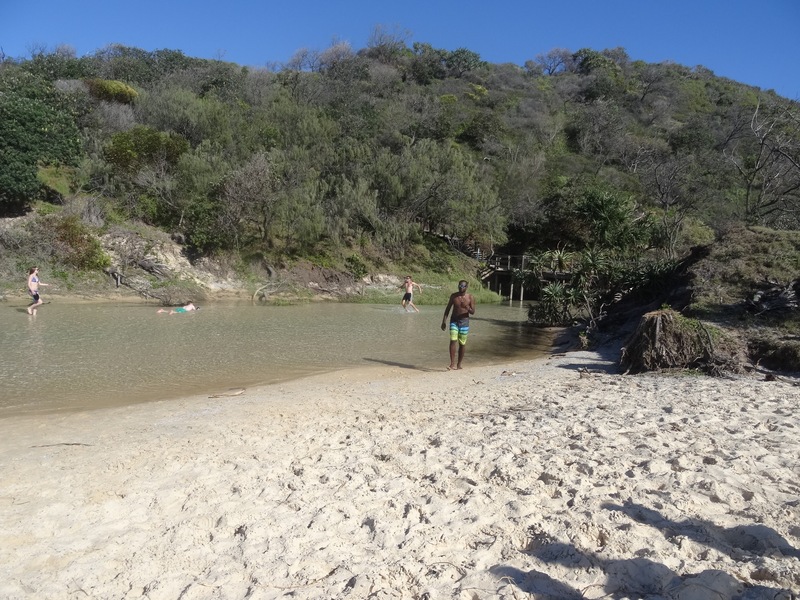 Have you been to Fraser Island? Or travelled with G Adventures before? What’s your favourite journey that you have ever done so far? 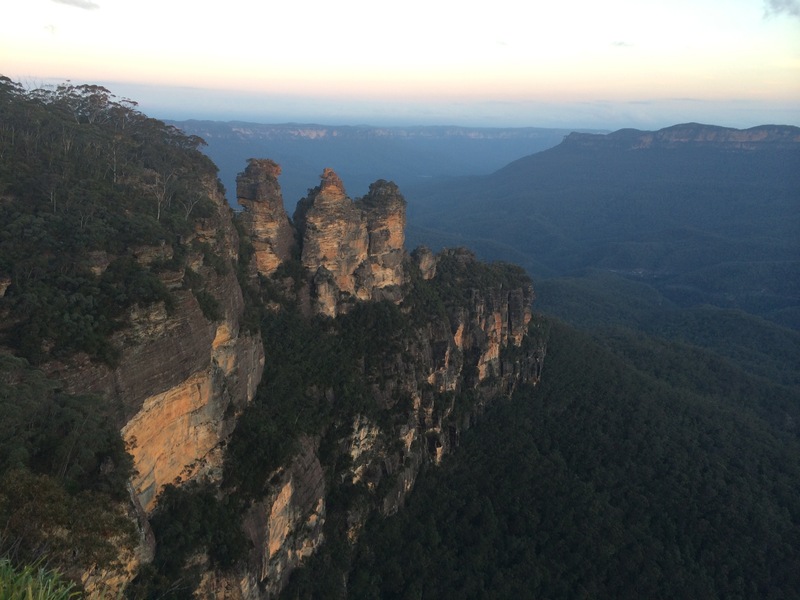 We arrived at Katoomba yesterday afternoon, after a hectic journey as the trains were cancelled but we are finally here! We couldn’t wait to put our backpacks down and get out to see the sights! 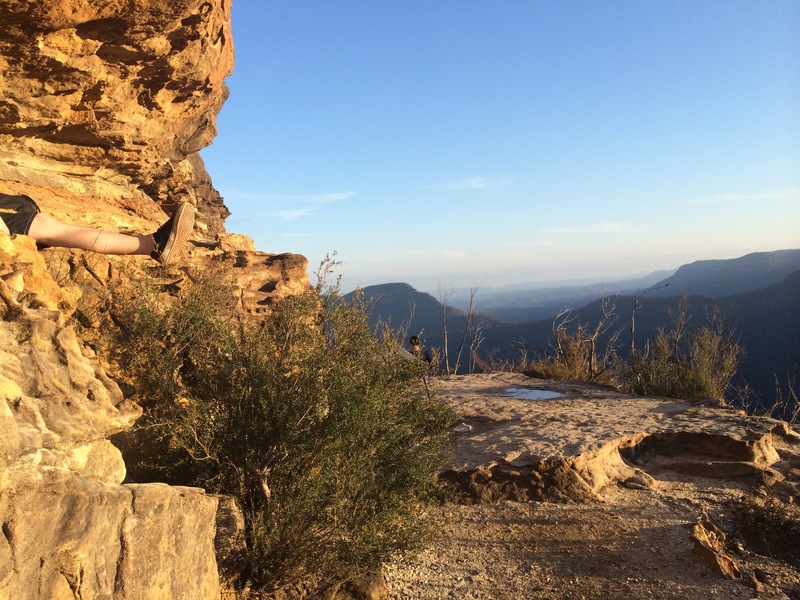 Me and Brandon went to go find Echo Point, but we took a detour through Katoomba Falls and then ended up finishing at Echo Point as it got dark! There was so much amazing wildlife and nature out there, parrots flying around and absolutely gigantic trees everywhere! The views were incredibly beautiful, but we’re going back this morning to the some more photos with different light as the sun was too powerful for my phone last night! 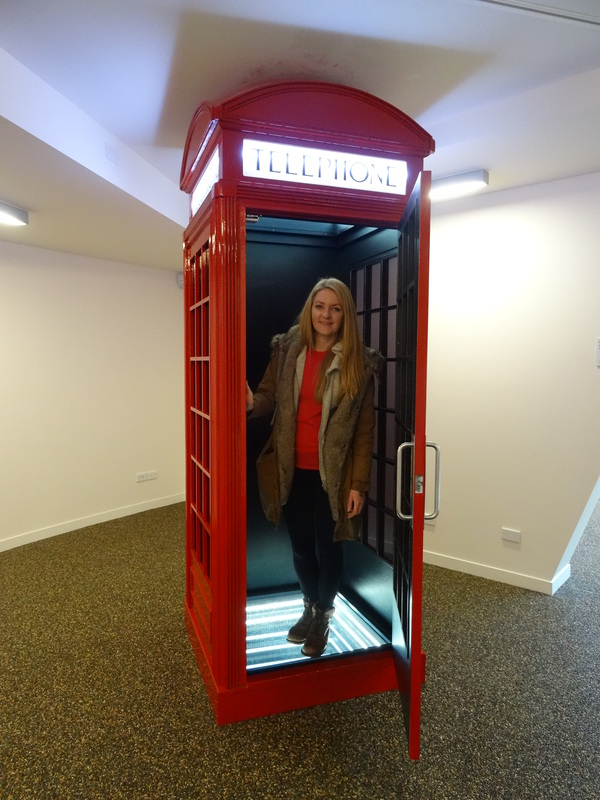 I'm a 25 year old Graphic Design Graduate, now studying 3D Computer Animation. I love to blog about travel, books, fashion, beauty, animation, films and create YouTube videos. What am I munching this Easter? What TV Series and YouTube am I watching?